Pioneer DJ and DJ Times partner up for an eighth straight year and allow fans to choose America’s Best DJ. From disc-scratching icons to basement producers in the fast lane, America’s dance-music explosion has birthed some of the most talented artists in the game, now it’s time to vote for who is America’s best DJ. 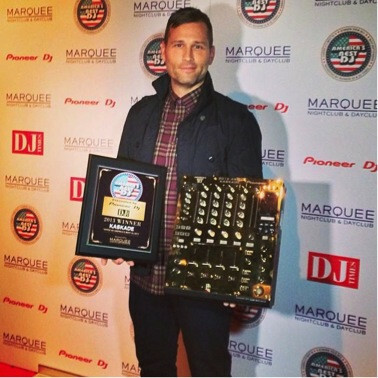 Launched in 2006, the three-month-long “America’s Best DJ” competition asks music fans to cast a vote for their favourite US-based DJ from a list of 100 nominees (as selected by the editors of DJ Times magazine). By voting online at the America’s Best DJ website, not only will your favourite DJ come that much closer to winning, but you’ll also have the chance to win prizes from Pioneer DJ, DJ Times and additional sponsors G-Shock and Las Vegas’ Marquee Nightclub & Dayclub. 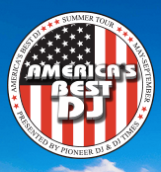 Running alongside the competition, America’s Best DJ Summer Tour Presented by Pioneer DJ & DJ Times gives fans a chance to engage and vote in-person. At more than 15 summer-event dates, DJ Times will maintain a dedicated exhibit booth and take paper-ballot votes from fans supporting their favourite US-based DJs. This past Memorial Day weekend, the tour kicked off at Movement, Detroit’s electronic music festival. The three-day event at Motown’s Hart Plaza drew nearly 100,000 fans and once again offered a massive platform for the promotion’s launch. Also, fans who ‘like’ the America’s Best DJ Facebook Page and ‘follow’ America’s Best DJ on Twitter are automatically entered to win monthly prizes like Pioneer DJ gear and watches from G-Shock.